Hey everyone. I’m scouting for voices for an upcoming project by Mike Laffitte (AKA Mike Maverick) who is known for his Super Ace Gamer Let’s Play streams on Twitch and his Super Ace Gamer (formerly Ace Gamer) review series. This series is called Mike Maverick: Ace Reviewer and it’s based on an old pilot he did for when he was trying to decide how he wanted his main review series to go. However, both he and I have looked back at his old concept and we would like to try to give it another go. I’m acting as a co-producer and co-director. 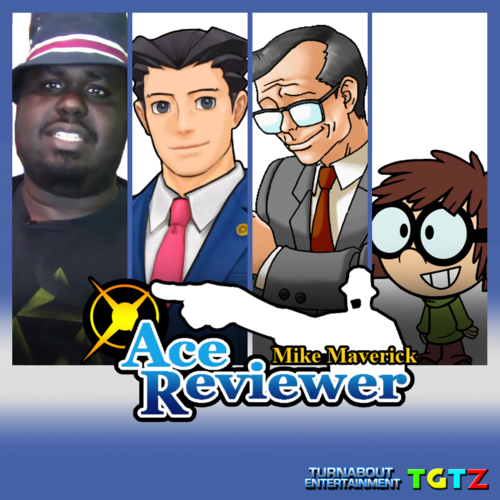 Mike Maverick: Ace Reviewer is a story driven review series about Mike who acts as a defense attorney mentored by Phoenix Wright, and he defends video games and movies from the negative opinions critics have given many of these various releases over the years. To take the place of these critics, Mike goes up against witnesses and prosecutors from the Ace Attorney games who act as the critics who have given these opinions. Then we see if the game is given a score of .5 to 5 on a .5 scale. It will feature characters from the Ace Attorney series as well as the Nickelodeon TV series, The Loud House. The first episode is a remake of Mike’s original pilot called Turnabout Turtles. In this episode, Mike defends Teenage Mutant Ninja Turtles for the NES in court from Frank Sahwit who is acting as a game reviewer with the same opinions as other well known game reviewers (namely Angry Video Game Nerd and Irate Gamer). 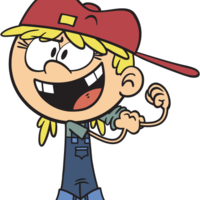 While all the Ace Attorney characters in this episode have all been casted, the characters from The Loud House have not save for Luan, so that is currently what we are scouting for. Lisa is 4 years old and speaks with a lateral lisp. She is a child prodigy who has a PhD and is a Junior Nobel Peace Prize recipient. She speaks in a mostly deadpan tone and also tends to be the most serious member of her family. Lisa has a bad habit of using her siblings as test subjects for her experiments and she also likes to study their bathroom habits. She helps Mike out with ways to ace his games for his reviews. Excuse me, Mike, but I believe I have figured out the solution to that area of the game you were stuck on. Wait, so you’re saying it’s possible to prosecute someone for cheating on video games? Lola is a 6 year old girly girl princess child beauty pageant champion. While she’s obsessed with looking cute and girly, she’s also the meanest member of her siblings and often makes threats towards anyone who gets on her bad side, and they usually are not empty. Lola tends to throw a lot of hissy fits and yell loudly. Lola will be a recurring character for this and various other episodes, so while not in most, whomever is hired will still be paid later episodes as she will reappear here and there. 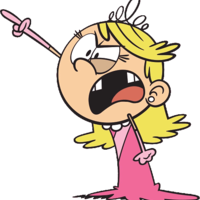 If you audition for Lola, you must also audition for her twin sister, Lana Loud. 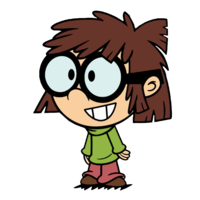 In The Loud House, both twins share the same actress, Grey Griffin, so we want the same aspect applied to here as well. While Lana is not in this initial episode of this project, it’s important for future episodes. While you do not necessarily have to be able to pull off both voices to get one of the roles, it is what we prefer. If it wouldn’t be too much trouble, could you pretty please help me sue my sister? Oh… uh, nothing. So, what do you say? Lana is 6 years old and obsessed with everything gross. She loves to eat from the garbage and she loves to cuddle with reptiles and amphibians. She’s also the house’s resident plumber and knows how to handle pipes, toilets, sinks, and all the like. While she’s the polar opposite of Lola in terms of interests, she’s also the polar opposite in terms of compassion in that Lana is more caring and friendly towards her family then Lola is. Lana will be a recurring character for various later episodes, so while not in most, whomever is hired will still be paid later episodes as she will reappear here and there. While she is not in this episode as mentioned, since Lola is and as these two characters will likely require the exact same actress, it gives more chances to be paid when one of the characters is around over the other. If both appear in an episode at the same time, the actress will be paid the fee of two characters for that episode. Some jobs require you to get your hands dirty, and I’m just the girl for the job. There’s poop that needs to be scooped? I’ll scoop it! How can you dissect frogs when they’re such great companions? !